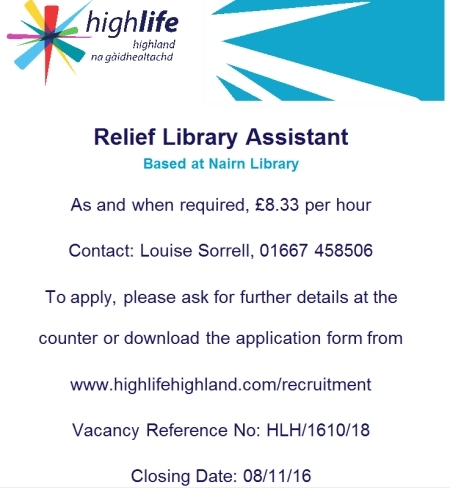 It's Highland Highlife - an arm's length company created by Highland Council. The job is a wonderful opportunity for someone who has perhaps taken early retirement. The staff in Nairn are superb, friendly, knowledgeable and happy to help old people like me. Who knows, the situation could lead to a permanent post and would certainly give anyone the experience needed and a boost to their CV. Good luck to all who apply. I do a similar role in Somerset and absolutely love it.